Christchurch City Council held a full council meeting on 27 July 2017. Readers, the CCC meeting video of Agenda item 26, about Yaldhurst Subdivision, is recommended viewing/listening. Legal advice to Council is given by Rob Goldsbury, CCC Head of Legal Services – an atrociously lacklustre, unjust and obstructive performance. The Council stupidly steps itself into (again!) the Constructive Fraud Action being progressed at the Christchurch High Court by Residents/Caveators of the Yaldhurst Subdivision. Although, we see that Councillors supposedly have no idea they’re already in it up to their eyeballs through the actions of Council staff and issues of non-compliance. Interesting. The video continues at about 1:26 after a preliminary silence [muted blue screen] – keep watching. The quality of picture is poor throughout. The discomfort of those seen in the public gallery is most perceptible. Meeting Agenda and Unconfirmed Minutes follow here below – minus Attachment A, Yaldhurst Village Lots 601,613 Plan. The Council did not vote unanimously. The Halswell-Hornby-Riccarton Community Board motion was lost. With the second motion, in short, the Council resolved that Lots 601 (residential) and 613 (commercial) on LT 448725 will be dedicated under Section 349 of the Local Government Act 1974 as a road, in order for the road to vest. The resolution goes against the Residents’ private property rights. See the previous post to refresh on the Residents’ situation. Note, by the votes for, the dishonesty and incompetence present. Note, by the votes against, the integrity of those supporting the Community Board and members of their community: the private property owners (the Residents), in their protracted, brave and courageous fight against an unjust malevolent council staff working in cahoots with unscrupulous developers. Vicki Buck is a class act. Rob Goldsbury, an utterly shameful man. Note that this report was left to lie on the table at the Council meeting on 6 July 2017. 1. That Lots 601 (residential) and 613 (commercial) on LT 448725 will be dedicated under Section 349 of the Local Government Act 1974 as a road, in order for the road to vest. 2. Note that a Deed of Indemnity will be executed by Infinity Yaldhurst Limited which will indemnify and keep indemnified the Council from all actions, proceedings and claims made by any land owner in relation to the Council accepting the dedication of Lots 601 and 613 on LT 448725, as road. 3. Also note that the Council shall not be required to issue a Section 224(c) Certificate under the Resource Management Act 1991 in respect to Lots 601 and 613 on LT 448725 until all the safety audit requirements as specified by the Council, and included in the Variations of the subdivision consent, have been physically built to the Council’s satisfaction. 4. That the General Manager City Services be delegated authority to negotiate and enter into on behalf of the Council, such documentation required to implement the dedication. 1. Option 2 of the staff report, namely, That the Council not agree to a dedication process and inform Infinity Yaldhurst Limited to pursue the matter through the Courts in accordance with the Property Law Act. 2. 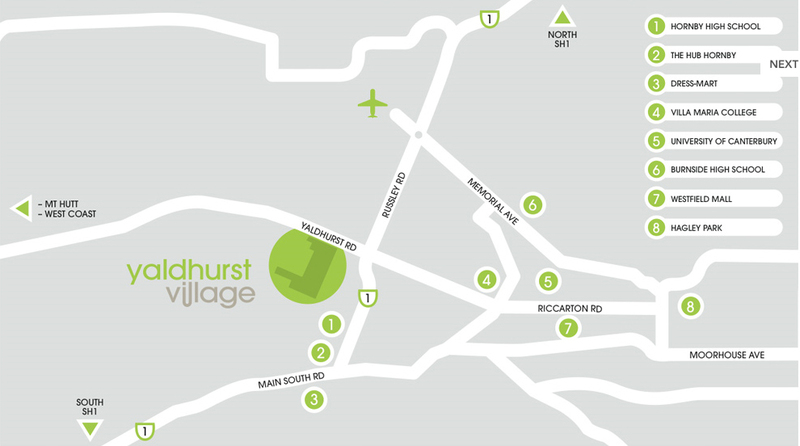 That the Council agree to meet with the adjoining property owners to discuss options on a way forward regarding the Yaldhurst Village Subdivision. Vicki Buck and Anne Galloway requested that their votes against the above decision, be recorded. There are no attachments for this report. Christchurch City Council is failing to ensure compliance with the subdivision consent and is then assisting the developer Noble/Delta – Infinity/Delta, to screw the Yaldhurst residents. About five of the affected Yaldhurst residents gave deputations to the full meeting of the Christchurch City Council on Thursday, 6 July 2017. Prior to the meeting, the Infinity Joint Venture of which Delta is a majority partner (with its $13m gift investment from Dunedin City Council) had convinced CCC staff to sway Christchurch City councillors to vote for the dedication of private roads as opposed to vesting ownership in the Council. This in the attempt to first defeat land covenants the affected residents have over the property registered in 2003 to protect their inclusion in any subdivision. However, Land Information New Zealand (LINZ) cannot accept roads vesting in ownership with the Council when there are any encumbrances on the land – such as the residents’ covenants. For the residents, Colin Stokes, at the council meeting, distributed to councillors a review of what CCC staff have done over the years. Of course, as the facts flow they continue to entwine around Delta. The residents are fighting to protect and enforce their rights in the subdivision consent; and to halt Delta and their Southern associates’ onslaught against them. Wed, 12 Jul 2017 at 9:16 a.m.
Chris Hutching’s piece (The Press 10.7.17) is weak and void of facts that present our case. ● We have Land Covenants registered over all the land in 2003 to protect our inclusion in any subdivision – our specific Access Lot road has to be formed and vested to Christchurch City Council standards with CCC as a term of extinguishment of the covenants. ● The encumbrance on the land prevent vesting of roads as LINZ won’t allow roads to vest with the council with them on. ● Infinity/Delta behind closed doors with CCC staff came up with a scheme to dedicate the roads under old rules (not compliant with the RMA and the subdivision consent) so as to circumvent our covenant protection. ● The real story is that CCC is breaking rules and NOT requiring compliance with the subdivision consent so as to cheat the residents of their protection and their interests protected by that protection so as CCC and the developer can cut them out of the subdivision. ● CCC and the developer Noble/Delta – Infinity/Delta have taken conditions out of the consent, varied the consent, and permitted non-complying undersized infrastructure that makes our part of the subdivision impossible – specifically stormwater pipes and basins required on the lower lying developers’ land which is where the consent (and physical topography and site layout) requires our stormwater to go. ● CCC failing to enforce the conditions of the consent as the law requires means our Access Lot road cannot be formed, meaning we can not subdivide. ● Delta with the misuse of mortgagee powers passed the property to itself, or at least part of the property ($13.4m of an $18.35m “sale” = 73% of which $12.5m was left in the property in passing it to Infinity in the orchestrated “sale”). The coloured plan shows the residents’ Access Lot between green lines going from Yaldhurst Rd and then dog-legging east to west. 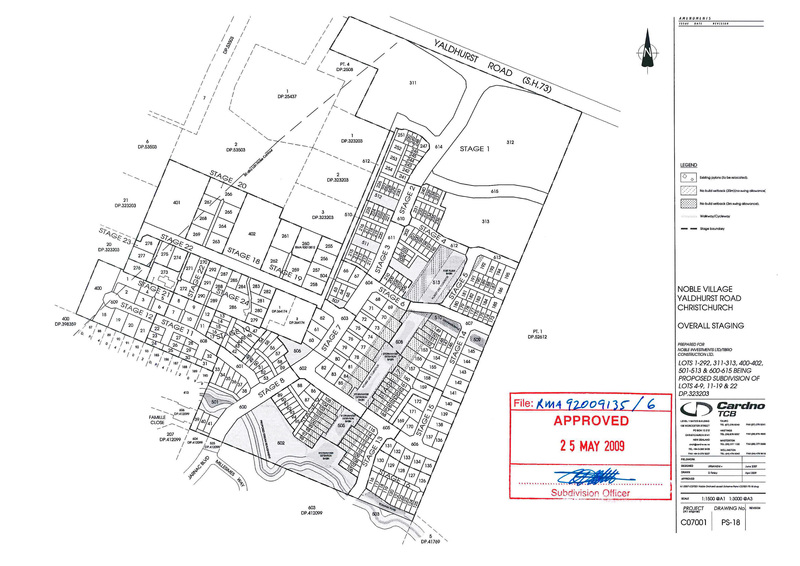 What is inside the yellow border is what is within the Subdivision Consent (note there is an internal yellow small 2 sites that are NOT in the consent – and 3 other of the residents’ lots in common ownership on the NS leg are not included in the consent). 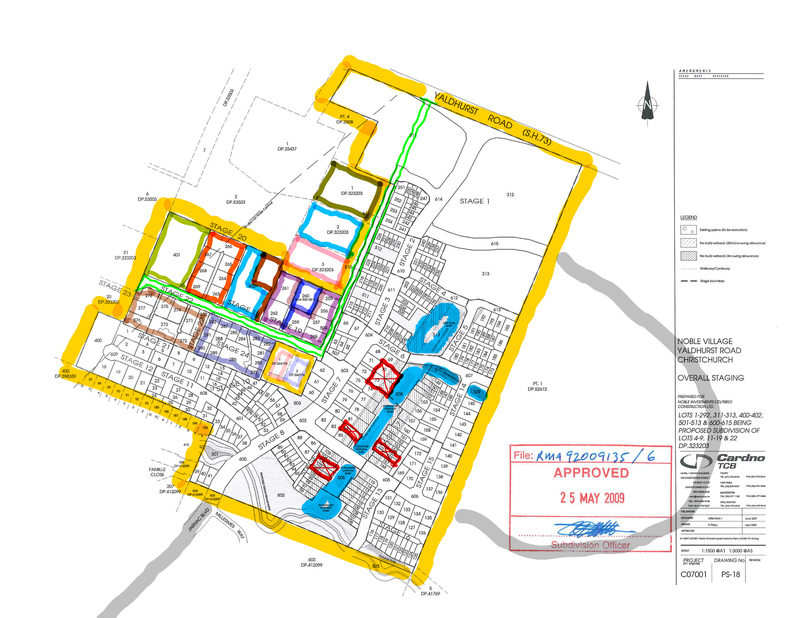 – the Security Sharing Joint Venture (Noble/Delta/Gold Band) SSJV designed and constructed their part of the subdivision such that it made the East West Access Lot owners (residents) parts of the subdivision impossible AND that the Council permitted this. – Undersized stormwater infrastructure was corruptly installed without consent to NOT include the residents’ subdivisions (all the while falsely assuring residents it did). * Residents that are part of that subdivision consent have the legal rights to the stormwater (s134 RMA) – the Council is refusing to enforce the conditions of the consent; and permitted the developer to NOT comply with the conditions. * This is akin to a builder building a house without consent. * Council failed to issue an abatement notice for works being complete without consent, and to non-complying standards. * Council staff “mistakes” and wrongdoing of permitting non-complying works and not enforcing the conditions of the consent (as required by law) will be covered up. – Delta and DCC was the facilitator of transferring the property from the Delta/Gold Band/Noble Joint Venture to the Delta/Infinity Joint Venture. – Delta (illegally) owned 67.5% of the 1st mortgage and controlled Gold Band through their Security Sharing JV. – Delta’s assurances it had nothing to do with the mortgagee sale is a lie. – Delta refused to allow Gold Band to accept offers to redeem the 1st mortgage (illegal under s102 & s103 Property Law Act). – DCC refused to allow redemption of the 1st mortgage. * all that was required in return was “our little road” which is a LEGAL REQUIREMENT of the subdivision consent in any event. As reported by The Press, the eight-year dispute involving the stalled Yaldhurst subdivision has now gone to mediation between the property owners and the developers. The dispute has been aired in several High Court cases between the private landowners and the developers, which are continuing. █ For more, enter the terms *delta*, *aurora*, *grady*, *luggate*, *jacks point*, *dchl*, *auditor-general*, *noble*, *yaldhurst* or *epic fraud* in the search box at right. An eight-year dispute involving developers and a group of property owners in a stalled Christchurch subdivision has gone to mediation. Late last year Dunedin City Council agreed to authorise its Delta Utilities company to refinance a $13.4 million outstanding debt to go ahead and complete the Yaldhurst development along with Wanaka-based developer, Infinity. To allow the development to proceed, Christchurch City Council staff recently recommended the unusual step of “dedicating” the access road rather than “vest” it with the council. But a representative of the private property owners, Colin Stokes, told city councillors that his group’s rights to compensation for land for the road had not been addressed. […] The dispute has been aired in several High Court cases between the private landowners and the developers, which are continuing. Most people who originally signed up to buy properties at the subdivision have pulled out and meanwhile Christchurch’s residential property market has cooled significantly. 18.9.16 Delta #EpicFail —Epic Fraud #13 : Councillors! How low can you Zhao ? 21.7.16 Delta EpicFail #8 : Cr Calvert goes AWOL, 23 Questions for Mr McKenzie —Saddlebags !! 15.7.16 Delta #EpicFail —Epic Fraud #6 : What do you mean, Property Law Act ? 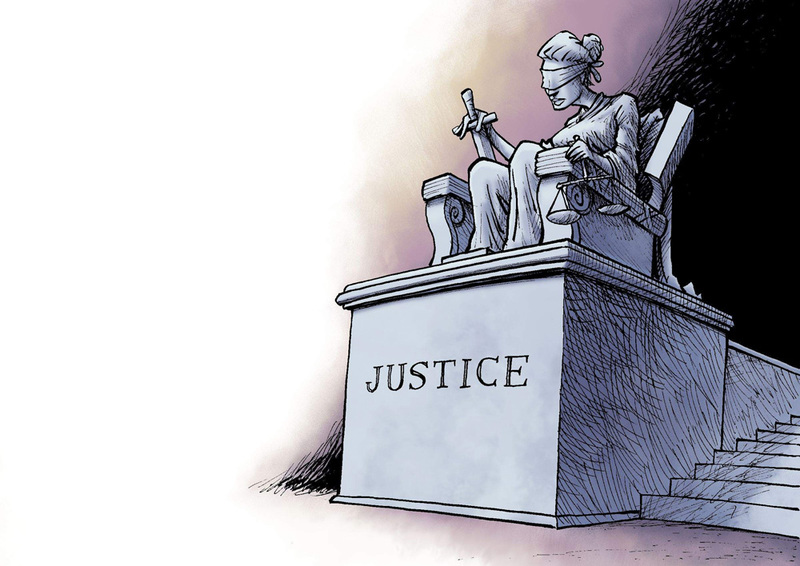 8.7.16 Delta #EpicFail —Epic Fraud #4 : Tales from the Courtroom…. 30.6.16 Delta #EpicFail —Epic Fraud #3 : Security Sharing and not Caring….. who’s got that Constricting Feeling ? 27.6.16 Delta #EpicFail —Epic Fraud #2 : WWTKD – What Would Tom Kain Do ? The published reply has no direct bearing on Russell Garbutt’s enquiry. █ For more, enter the term *delta*, *dchl*, *infinity*, *noble* or *epic fraud* in the search box at right. Sun, 25 Sep 2016 at 11:15 p.m.
Firstly, Ratepayers have a debt (yes another one, readers, but put the cudgels away, it doesn’t involve money illegally advanced by Delta) to Vaughan Elder, Cr Hilary Calvert and our What if? site for prising the official information about the August 1 2016 Council Meeting from the DCC. After an extended delay, some records were produced, but “technical difficulties” meant a full audio transcript was not available. How surprising. This is the Council equivalent of “The dog ate my homework, sir”, with the same level of credibility. But of course Mayor Cull will be able to say that he really wanted the transcript because, of course, he is FOR openness and transparency in Council, for the next fortnight anyway —because in response to the latest poll or subtle expression of displeasure from the ODT publishers, Mayor Cull is now a “transparency magnet”, you see. While it would have been useful to see if any Councillors expressed even the most cursory concern about the deal, before voting to give away $13.2M to a shell company on the most favourable terms in commercial history, the key point is that Cr Lee Vandervis is the only candidate standing who sounded the alarm. He abstained from even voting on the proposal because the information put before Councillors was so pathetically incomplete that to even vote on it was giving the “proposal” more credibility than it deserved. Departing from Matters Noble for a moment, your correspondent had from afar noticed a very clear divide on ‘the sound’ between sitting and new council candidates. 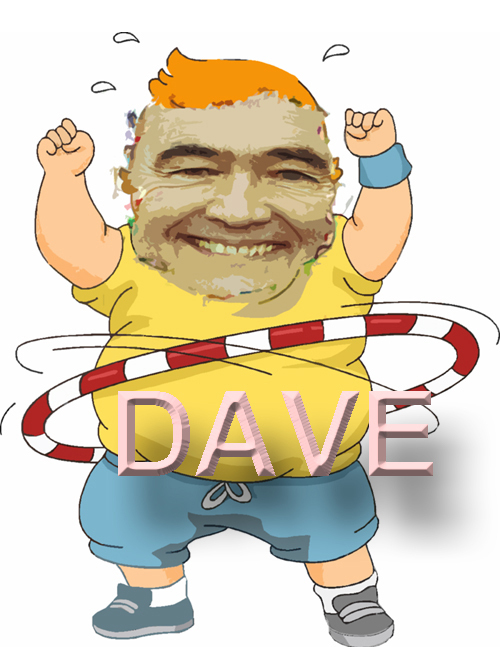 To a man (and one woman) the sitting Councillors all sing the same song : everything is fine, everything is under control at the hands of your capable (sitting) Councillors and if these “whingers” would stop the “negativity” then everything would move from fine to fantastic on the DCC rate-o-meter. With the notable exception of the sniping between Mr Whiley and Mr Hawkins, there is clearly a little gentlemen’s agreement amongst incumbents not to say hard but truthful things about each other so that normal sycophant operation can resume after the election. However, the other 32 council candidates are also singing a song that is mostly in unison, and that is that the present Council have failed the city in ways too numerous to count. Their description of the overall Council performance ranges from the mediocre to the abysmal. With six new positions, in a normal election a candidate could probably spout vague but reassuring platitudes and have a good chance of joining the club. But this is not a normal election and the vast majority of new candidates aren’t being shy about what needs to change. A change is coming. The point of all this : Your correspondent says that this is no time for the safety first status quo and if the best candidates only include one (Cr Vandervis) or even two then that is just fine. Vote accordingly. Mr Vandervis as Mayor can always run night classes over the first month in how to chair a subcommittee. Your correspondent has for some time flayed the vast majority of Councillors in many posts for being slack jawed bystanders on the whole disgusting Delta Noble mess. Those Councillors who acquiesced and made like Silent Bob – which is all of them, except Cr Vandervis, do not merit re-election on a number of levels. Most odiferous of all is Cr Doug Hall, who is very well versed in subdivisions, and would never in fifty lifetimes commit his own money to a deal like this, but who refused to say anything. Sayonara, Doug Silent Bob Hall !! However, some information from a little bird…. has come to light regarding the non-public section of the fateful August 1 Council meeting. This, along with other information made public at What if?, now means we have an accurate idea of why this turnip of a Delta deal was fertilised into life. (Sorry Vaughan, bested you again, but keep up the good work !). It was a case of turnip councillors also being fertilised with you know what, but it was also a case of DCHL and DCC bureaucratic fascism, which is even more alarming. Apparently, a senior representative at the meeting (can’t name names) lectured the Councillors for about 30 minutes that this Infinity deal was The Way, The Truth and will give Life to the half of the $25M DCC debt that the DCC had not written off. To extend the biblical analogy further, however, it would not be three days before the debt was resurrected, but EIGHT YEARS. (Good work on that in Friday’s ODT, Vaughan !!). This is rather a long time to go without financial oxygen, otherwise known as payment of interest, but at Delta (now enabled by the DCC) the unthinkable (the illegal construction of entire subdivisions, being had up for constructive fraud) is now commonplace. What if? is led to understand that Councillors were lectured like school children, and questions were Not Tolerated by the Irascible Headmaster. They were to vote on the One True Option, and That Would Be That, and if they did not vote for the One True Option, the buyer of the Noble Subdivision would be lost. Readers may recall that your correspondent did predict that this is precisely what would happen, a certain corporate person would pronounce that There Is No Alternative, regardless of the truth, and much of the statements by the Irascible Headmaster (not to be confused with The Fat Controller) are not true. A malodorous other person also enabled this fertilisation, as a parting gift to fellow “managers” – and I use the term loosely. For major decisions, DCC staff are meant to prepare a range of options so Council can debate which is best. Either they weren’t bothered or came under instruction to prepare one option only by minders at DCHL. The Council should remember it is DCHL’s superior, and (theoretically….) DCC’s senior executives should be monitoring the Council holding company and subsidiaries. Old habits (like saying yes) are troublesome things that become reflex actions. Humour aside, what happened on August 1 and immediately following is simply anti-democratic and makes Councillors redundant rubber stamps for DCC staff. The amazing thing is that only two of the 15 elected complained about this obvious and basic sidelining of Councillors. But even at that point Ratepayers could have possibly accepted a lack of proper process had a good option been presented. But the “Delta Deal” isn’t a good option. This is the most commercially one-sided deal seen in decades, and the level of excuses made by Crs Thomson and Cull, Delta CEO Cameron, and most of all Mr Crombie, should give Ratepayers pause. They protesteth too much. The cover has been in full swing. “This is the best we can do”, “there are no guarantees”, “it will take years…. but builders are lining up to buy the sections”. 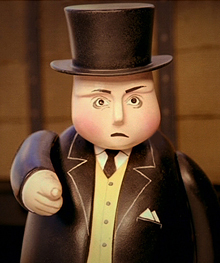 If The Fat Controller fitted one of his own conservative clients into this deal – a $13.2M second mortgage on a subdivision mired in legal action and half built illegally, at an interest rate of 7 per cent, he would doubtless be censured and taken to task by his professional body. Something appears to be rotten in the State of Dunedin. Why is there indecent DCHL directorial haste to get this deal done ? Will Infinity Yaldhurst spend vast sums on marketing the sections via the ODT ? Will certain ex DCC operationals retire to Wanaka, coincidentally on an Infinity Subdivision ? Will Mr Crombie and Mr Frost become directors or shareholders of some Infinity venture, or their firms be remunerated in some generous way at Noble ? Stay tuned, same bat time, same bat channel !….. This is too hard for your turnip DCHL directors, and involves a serious loss of face, but who cares about them ? With the right development manager the DCC can do it in house. 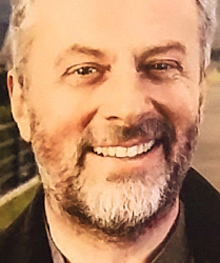 There is one man in Dunedin who is available at the end of the year and has the necessary integrity and expertise to do it, and his name is Geoff Plunket, soon to be former CEO of Port Otago and Chalmers Property. █ For more, enter the terms *delta*, *infinity*, *noble* or *epic fraud* in the search box at right. Election Year. This post is offered ion the public interest. Tue, 27 Sep 2016 at 7:08 p.m.
On 1 August 2016 I lodged an official information request with DCC to obtain documents and audio file for the non-public meeting of Council held that day to decide Delta’s deal with “Infinity” (later, properly referred to as Infinity Yaldhurst Ltd. NOTE: Not the company called Infinity Investment Group Holdings Ltd. The information request was made subject to an extension. (In particular for more context, see Delta posts at What if? Dunedin from 1 August onwards – to access these use the term *delta* in the search box at right). The information received from DCC is published here. Further to Kristy’s response below, please find attached a copy of the minutes of the meeting. These are now confirmed as correct. 2. A copy of reports presented as part of the non-public section of the August 1 council meeting where the Delta transaction was discussed. 3. The minutes of this part of the 1 August Council meeting are not yet included. That is because at yesterday’s meeting of the Council, an amendment was made to this section of the minutes. They will be provided to you in their amended form when the minutes of yesterday’s meeting become available. The information you have requested is attached. Please note that due to the late conclusion of yesterday’s Council meeting we were unable to provide you with this response yesterday. There were some technical difficulties experienced with the recording of the meeting. Unfortunately this resulted in only the first part of the meeting up until the first adjournment being recorded. We have sought expert help to recover the rest of the recording but it is blank. An independent party has also transcribed the audio file that is available and this transcript is attached. This provides details of each speaker and may help your listening of the file. If you have any questions please contact me in the first instance. Election Year. This post is offered in the public interest. Delta #EpicFail —Epic Fraud #13 : Councillors! How low can you Zhao ? Updated, this post was originally published on 29 Aug 2016. Thu, 15 September 2016 at 6:53 p.m. Recently some diligent whatiffers (thank-you Mick, Calvin), have provided some very pertinent information that puts your intemperate correspondent well ahead of the chasing pack that is national media. Delta’s financial “breakthrough” at the Noble Subdivision got an airing on National Radio “news” late last month. Strangely, there was no mention of the buyers’ troubled history that checkmated $101M into the big depository in the sky. Fortunately, online media Stuff (26.8.16) has better quality reporting than our erstwhile public servants (well chaps, it was the weekend after all) and had this epic fail firmly in their sights. Vaughan Elder at the ODT (27.8.16) also stepped up to the plate, hammering home the $101M Infinity fail. 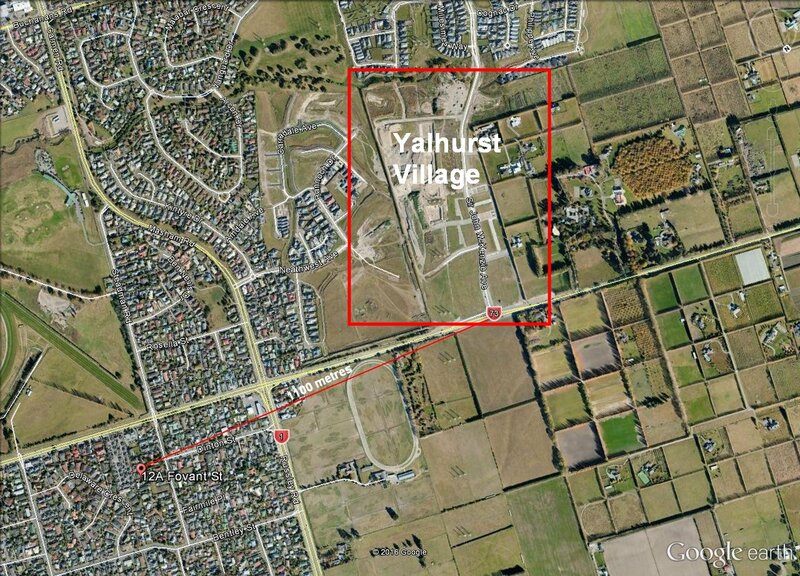 “Efforts to contact Infinity Yaldhurst were unsuccessful,” said Vaughan [before ODT updated the article]. No prizes for why…..Go Vaughan you good thing ! Tonight, readers, over a cup of Bell or two (put that Twining’s rubbish away – we’re not in Fendalton now !)….. we shall look at a likely funder at Noble (at third mortgage level, no less), and in doing so we shall arrive at the quiet suburban destination of 12a Fovant St, Russley; the poor man’s Fendalton, if you will. Once again, truth trumps fiction, and from this secure and modest address it is quite probable the highly insecure and very immodestly sized Noble Subdivision will receive finance. Firstly, readers, it is important to understand what your complete turnips of Councillors could not, and that is : it is the holder of the first mortgage that basically drives the train in any development. When things go bad – often – the developer gets told to go sit in the corner and play with some knives while the first mortgage owners decide what is best for them, and them alone, and the size of the haircut for everyone else. Delta have just found this out the expensive way to their approximate overall loss of $25M. Delta now wholeheartedly agree with this theory because they happily spent $3.39M of ratepayer funds to buy 67.5% of a $1.75M first mortgage, which was an illegal transaction at that. Mr Crombie and Mr Cameron say that interest doesn’t count ….Turnips that need to be culled, you say : I hear you! But the problem with first mortgage holders is that they are very often banks that don’t have a large appetite for risk, and they hate “mezzanine financing” with all the conservative passion they can muster. Mezzanine funding is what they call funding projects during their construction. If things go wrong of course at the construction stage (consider Noble), there is only a half-finished at best project…. worth precisely nothing, which tends to play havoc with the banks’ precious LTV (loan-to-value) guidelines. Readers will remember this was precisely the scenario at Noble where the mortgagee sale was marketed on the basis that it was bare land, ie the $11.5M of half-finished work by Delta was deemed to be worth nothing. So while Delta trumpet that there is a bank as a first mortgagee involved, your correspondent surmises that given the project’s radioactive history, it is a very small first mortgage, that is nowhere near big enough to finance the completion of even the first stage of the subdivision. This leads us to some very interesting territory. How to fund the construction ? A smallish bank first mortgage, Delta as second mortgagee. Even Grady Cameron and possibly even Mr McLauchlan comprehend that they would be sacked if they advanced more public funds to Noble on a second mortgage basis. Could the purchaser, Infinity Yaldhurst Ltd fund it ? We do not know this, because of the commercial stupidity of most of your Councillors : we understand it was explained to them in words of almost one syllable at the Council meeting on 1 August that it was a VERY BAD THING to lend $13M-odd as a second mortgage, NOT KNOWING THE SPECIFICS OF THE OVERALL PROJECT FUNDING or the details of the “purchaser”, the shell company Infinity Yaldhurst, set up specifically for one project that has no assets and NO BACKING OR GUARANTEE from any other Infinity Group Company that managing director Paul Croft is involved in. (Perhaps our walking photo opportunity that is the Mayor could advise us what sort of COLLATERAL SECURITY has been offered by Infinity Yaldhurst). What is an impecunious property developer to do ? Readers, allow me to introduce to you…. Infinity Finance and Mortgage Ltd. This interestingly named company was incorporated on 17 March 2016. Your correspondent thinks that it provides a clue as to how the Noble Subdivision may be financed. Its sole director and shareholder is a fellow named Xiangqing ZHAO aka Xiang Qing ZHAO. 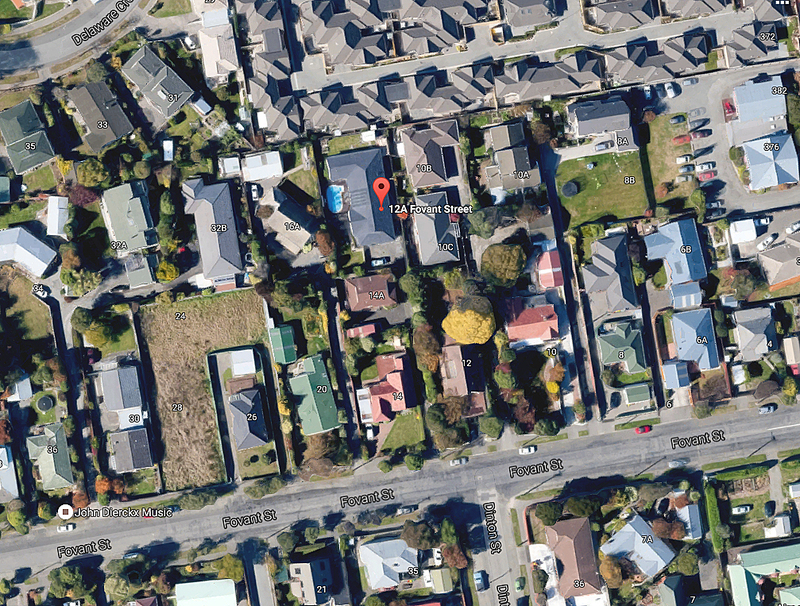 The registered office of this apparent titan of finance is at 12a Fovant St, Russley, Christchurch. This is just a little more than a stone’s throw from the Noble Subdivision. A quick peep at Google Street View shows that Fovant St is a street of well tended and modest homes. There is not a single commercial premises evident. Now 12a (with a little pool in the backyard) is not actually visible from the street, being blocked by a quite nicely proportioned brick and tile bungalow from early 1970s, approximate value $590,000. Mr Zhao’s previous commercial activities are also, ahem, somewhat idiosyncratic. Mr Zhao’s visible means of support includes his being the Shareholder of a pizza company, “X Pizza Ltd” and a company called “A-Team Company”. So there is a suspicion that Dunedin City Councillors voted, at their meeting on 1 August, to lend $13M to a shell company, Infinity Yaldhurst, that may be receiving some form of finance from a company effectively controlled by an Asian, with a predilection for pizza, operating property investment companies and a finance company out of his bedroom – safely out of sight, down a driveway on a back section in Russley. It would be impossible to make this up. Gold Band at least had premises and statutory reporting requirements that it fulfilled. With Mr Zhao there is the very strong suspicion there will be a wall of opacity when things turn bad, and 12a will be sublet to Irish construction workers who have never heard of Mr Zhao and don’t know who receives their rent. It is very significant our mendacious minders at Delta did not make any reference to precisely how the project would be funded on their breathless press release (26.8.16). Readers and ratepayers should be prepared for the fantastic fact that the Noble Subdivision is so troubled and radioactive it requires a THIRD mortgage (ie after the Bank, and after Delta) from an Asian “bedroom funder” several steps below a Microfinance company. Good grief, what next – crowd funding ? One cannot escape the thought that perhaps the money that may be advanced does not belong to Mr Zhao, but he has some access to funds from Asia. We do know that a tsunami of cash from China in the last 12-18 months has washed through Australia, in particular the Gold Coast, and that cash has purchased an amazing amount of property there. It would be entirely unsurprising if Asian interests looked at this as a no-lose situation to park some funds. Plan A : Lend money to Infinity Yaldhurst at 25% plus (remember Delta were or are getting 22.5%). Plan B : If the project tips up yet again, buy out the first and second mortgage holders for about $16-20M, and create Christchurch’s first gated community dedicated to Asian peoples. Many of the sections are only 125 sq m, which would suit Asian immigrants, more than local residents. The question readers, is how low – how low can our turnip Councillors Zhao ? █ For more, enter the terms *delta*, *noble* or *epic fraud* in the search box at right.